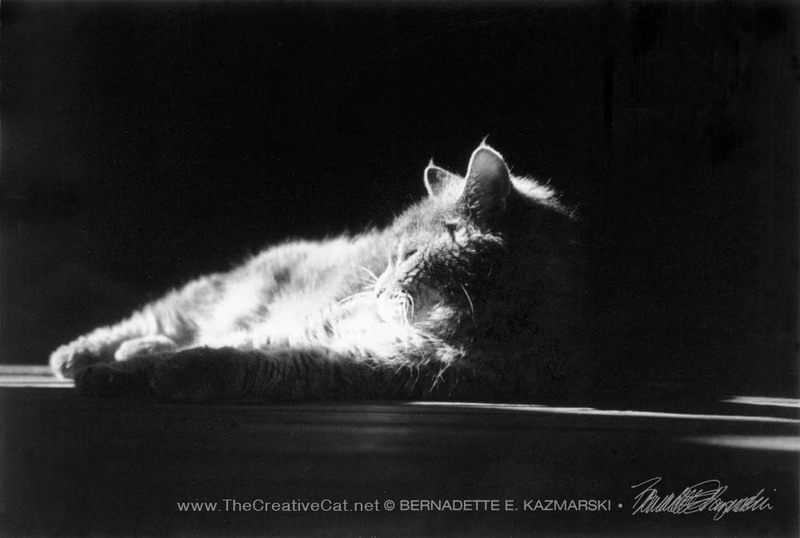 Late in the Year, Feline Photo prints are made in archival inks on Epson Silky Photo Paper, Cold Press Digital Giclee Paper or Artist Canvas and available framed and unframed. 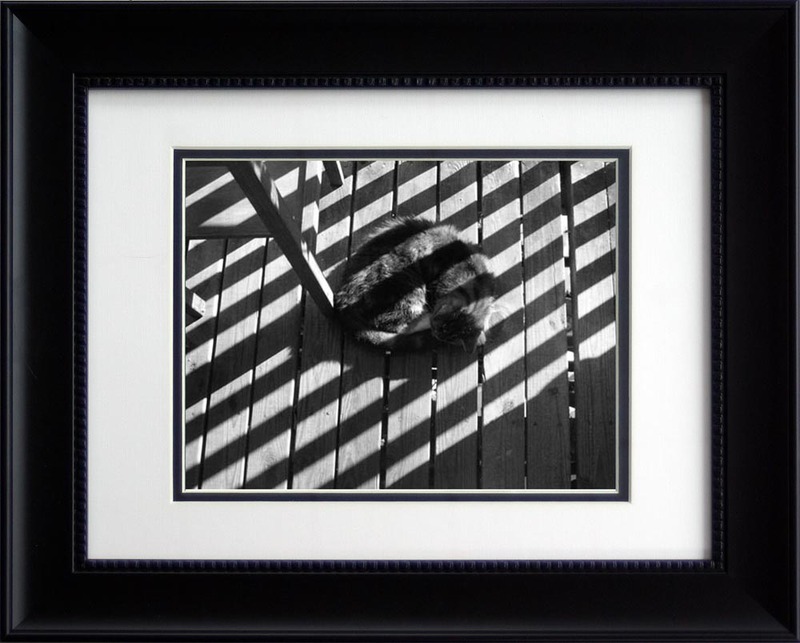 Stripes on Stripe, framed rectangular. This is my little formerly feral kitty, Moses. It is “late in the year”, as the photo is titled from November 2005, at age 19 it was also late in her life, using a year as a metaphor. “Portrait of a senior kitty”…this is a favorite of my black and white photos. Aside from a strict adherence to twice-daily mealtimes, her one and only absolute necessity was a sunbath, preferrably al fresco, every day to help soothe the arthritis that had built in her somewhat hobbled hind legs. I took this photo during the last warm day in November, just three months before she died. Some viewers have told me they have a difficult time piecing the image together because her features are distorted by age, her eyes set deep, her cheekbones sunken, nose slightly flattened by dehydration and ear tips curved as the skin on those extremities begins to wither, but I knew every hair, every feature. 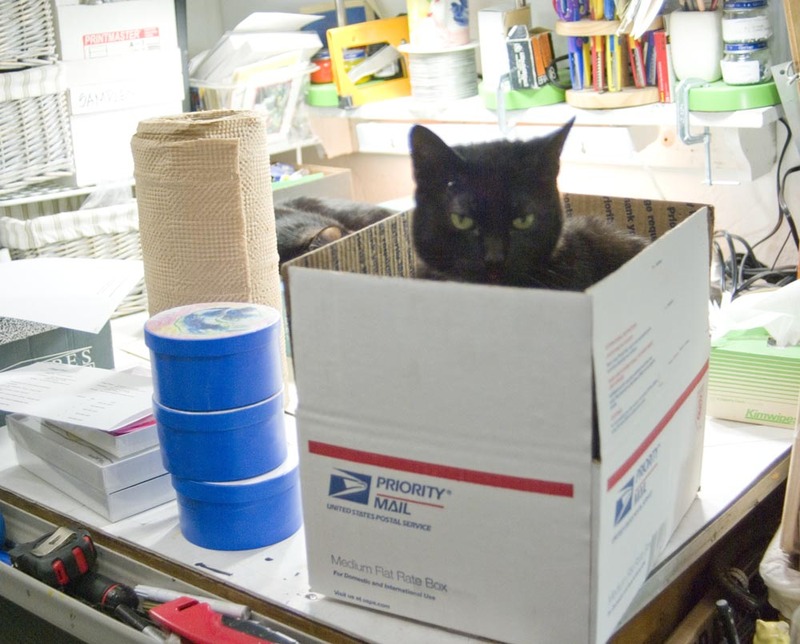 And those who’ve loved a cat into this era of their life can see the details right away. This image of Moses was so meaningful because others recognized their felines in in that I chose her as one of my animal sympathy cards. See the whole set. This entry was posted on March 17, 2017 by Bernadette.